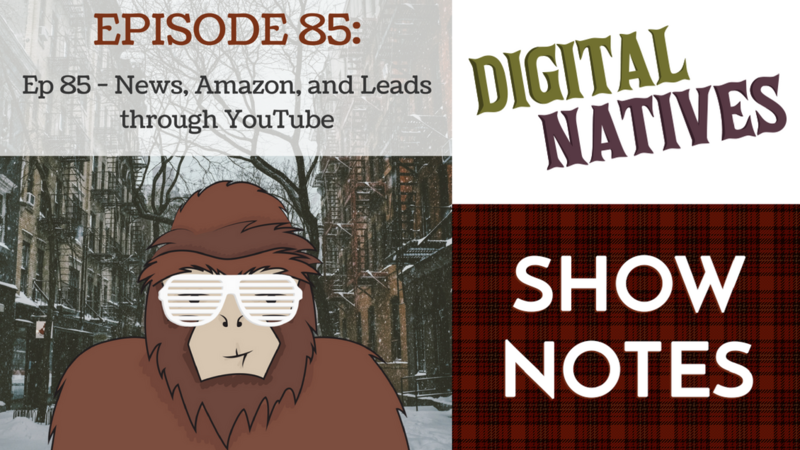 This week on Digital Natives, Kyle, Min, and Mitch talk about news in the digital marketing world, Amazon return policies, and earning leads through YouTube. Min shares a list of news ranging from updates on scootergedon, to Amazon’s recent troubles. Mitch talks about Amazon’s return policy, and how it is cracking down on fraudulent or abusive activity. Kyle shares interesting tips on YouTube and how to attain leads from contests.